I CAN South Sudan launches Children Peace building Program in Bidibidi Zone 1, cluster 2 sponsored by Planting Seeds of Love www.plantingseedsoflove.com . The program is part of Children Peace Building Initiative Project written by I CAN South Sudan for 2019 to build peace in Refugee Settlement in Bidibidi as the children’s efforts towards the South Sudan signed Revitalized Peace Agreement in Khartoum in September 2018. Speaking to I CAN South Sudan’s Secretary Mr. Seme Ludanga Faustino after the launching on Friday, he expressed his appreciation to Planting Seeds of Love leader ‘Pam Donkin’ www.pamdonkin.com for the support extended to the unaccompanied children in the refugee camp. “We are grateful that Planting Seeds of love selected one of our activities in the ‘Children Peace Building Initiative Project for 2019’ to sponsor which has got us under way to achieve our objectives for the year." “This program will help in healing the children of trauma; keep the children busy in doing constructive activities and hence preventing them from other negative peer pressure. The program will instill love and peace in the children. They will spread this love and peace to the refugee communities in Bidibidi Refugee Settlement Zone 1 through planting seeds of Water Melon and distribute to 300 households as symbol of peace,” he continued. “This will be accompanied by a message on peace from the children to each household, and as the Water Melon grows and produce, so will the seeds of peace and love be growing and spreading around. When Pam Donkin was contacted by email she replied “This project of Planting Seeds of love was launched years ago in USA and has been available for teachers to use in class rooms. When I saw a note from Stephen Wandu Bimo, the Director of I CAN South Sudan on the Children’s Music Network Forum looking for ideas for other activities he could do with the unaccompanied South Sudan Children in Bidibidi, along with music, I wrote to him about a website I started years ago that centers on a song I wrote called ‘Planting Seeds of love.’ At www.plantingseedsoflove.com there are art activities as well as song. The art projects are both creative and manipulative, from making seed paper hearts, and planting them with loving and peaceful intentions, to creating ‘Planting Seeds of Love’ Book about how children plan to bring peace and love into their world and the wider world, to create book children use creative writing combined with art work. “The Charity is now serving 20 unaccompanied South Sudan Refugees Children in Bidibidi Zone 1 who come from different warring tribes of South Sudan. We have produced a music album for the children on peace, love, unity and reconciliation plus one video which can be found on our website www.icansouthsudan.com We look forward to shoot videos for the remaining songs if we get funding, open peace club in schools to engage refugee children and youth to discuss about peace and reconciliation among the warring tribes of South Sudan, have a media forum for children to air their views in the peace building, engage children in sports activities, build capacity of the children and their guardians through trainings in business oriented technical skills to prepare them for beginning new life in South Sudan when repatriated and we would like to organize free concerts on Peace in refugee camps in Northern Uganda to disseminate message of peace” Stephen Wandu Bimo disclosed. 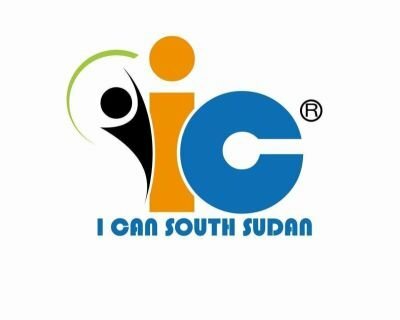 I CAN South Sudan is a Refugee Led Community Based Organization started in October 2017 by Refugee Youth Stephen Wandu Bimo, Seme Ludanga Faustino and Kyobutungi Angela a Ugandan by nationality who is passionate to support the refugee children. The aim is to engage unaccompanied South Sudanese refugee children in social and musical activities in order to heal the trauma of war and to spread a message of peace. Give the children a meaning, purpose, and hope for their lives, develop their skills in art and music for the future, and give them a creative voice through which to express their desire for peace in South Sudan. The charity’s program includes musical coaching with an emphasis on group work, building individual confidence, and creating links of friendship between the children, who come from both sides of the tribal conflict in South Sudan. Children are also taken on ‘treat’ outings together, to put a smile on their faces and to give them positive experiences outside of the refugee camp. The program also works to preserve the culture of South Sudan in the children so that they don’t grow totally in the new culture of Uganda. Pam Donkin is a USA Nationally recognized family entertainer in concerts school districts, a community libraries, teacher workshops and recording. She is a veteran teacher and entertainer who have clear idea of what young children want and need from their musical experiences According to Fred Koch, Chicago Parent Magazine.